Back in 1924, the first Glasgow Corporation Tramways (GCT) motorbuses were ordered to cover services in Coatbridge and Airdrie while road maintenance was being carried out to the tramway service. Soon after, motorbuses became a regular sight in Glasgow with the first double decker buses being ordered by the GCT in 1928. 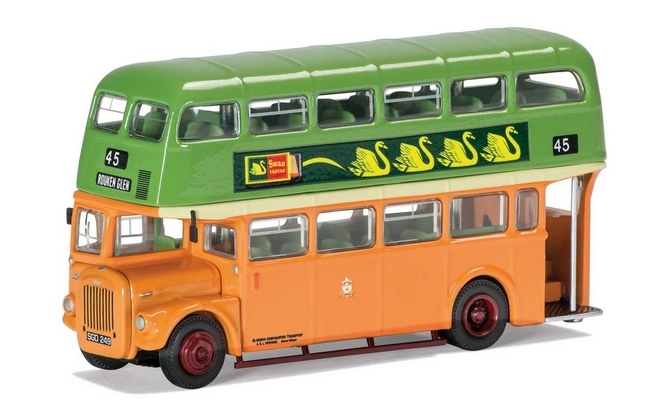 The livery was the same as the single deckers but with the addition of apple green for the panels between the upper and lower deck windows, however in 1959 it was simplified to aid spray painting.